Alanda August 1, 2017 Leave a Comment This post may contain affiliate links. We have been having so much fun with our Dream Machine 2. There is so much to learn about it as it has so many wonderful features. 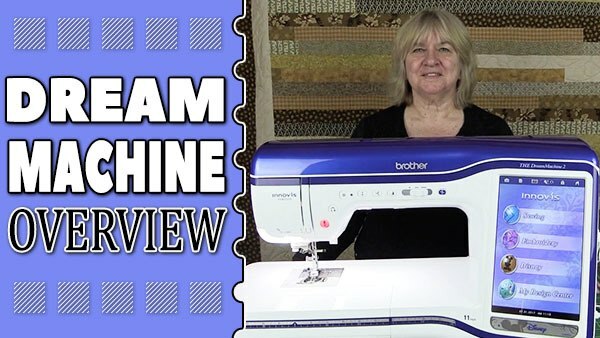 So we thought it was time to follow up our unboxing video with an overview of this amazing sewing and embroidery machine. In Part 1 we discuss the external features of the machine. In Part 2 we discuss the screens and talk about the different features that are available to you in each of the different screens – Sewing, Embroidery, Disney and My Design Center. If you are thinking of buying a Dream Machine 2, we absolutely recommend it, and here is a link to the where you can buy the machine here in Australia. We will be bringing you more tutorials and projects soon, so keep an eye out for those.